Faced with the clear trend of sector organising, strategic approach and increase in size and magnitude of the agents’ performance, it is essential to assess the current moment from the standpoint of the organization of the organization of the heritage management system, and to compare that assessment with the most relevant international case studies. It is also essential to calculate the value that such an ubiquitous resource has for our country. Crossing this data will allow us to identify management models, priority actions, criteria, i.e., define a long-term strategy to improve the return, sustainability and sharing of cultural heritage in Portugal. 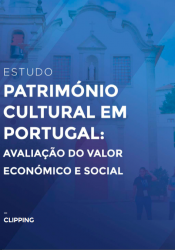 NOVA SBE and Spira – revitalização patrimonial, with the exclusive patronage of the Millennium Bcp Foundation, promote the ground-breaking Survey “Cultural Heritage in Portugal: Assessment of Social and Economic Value“. The Heritage Observatory is a partner in this survey that is supported by Portugal Heritage and patrimonio.pt as Media Partner. 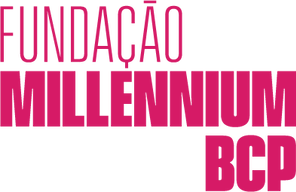 ​This survey will be conducted in 2018 and will be previewed during this year’s AR&PA – Bienal Ibérica do Património Cultural, to be held in Valladolid, in November; as well as a presentation in late December at the headquarters of the Millennium Bcp Foundation. Part III will try to merge the conclusions of the previous parts, with the goal of creating possible development scenarios and provide strategic recommendations of the next decade. This survey will be available online in Portuguese and English and a Portuguese-language version of the full survey will be published. patrimonio.pt will publish regular updates during the course of the survey with the interim results.